The Japanese myths say Quartz comes from white dragon breath, representing purification. The ancient Atlantean civilization made magickal Clear Quartz Skulls that some say bear spirits (earthy, devic and alien). Add to that the beauty and functionality of Quartz as a crystal ball for scrying and there’s no question that this Stone Spirit packs quite a lot of meaning and power. It’s hard not to find yourself in awe. 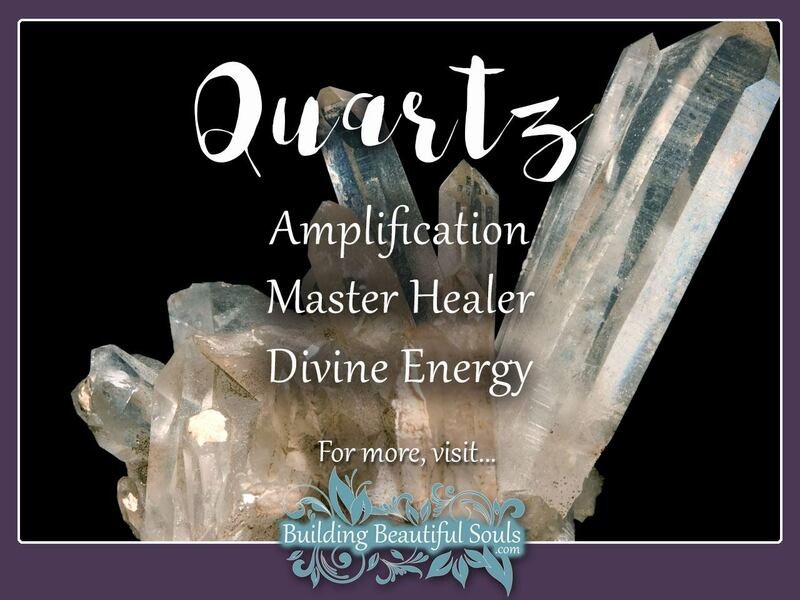 Move over other denizens of the sacred stone world – Quartz coming thru! Yes, you heard me. Quartz is here to shine on central stage as the headliner for nearly any metaphysical working! Want energy for magic – that’s Quartz. Want mental clarity – that’s Quartz. Want to be silly and turn cartwheels to mark the edge of a sacred circle – yes, Quartz will be there for that too. This mystical crystal is very open minded – it won’t turn away nearly any type of positive energy matrix. And while all this showiness might come across as arrogant, Quartz has good reason to brag. It’s the most bountiful and well-known healer’s stone in the world. Don’t worry, that flair for the dramatic won’t overcome your endeavors with this Teacher, but there is something about clear Quartz crystal that demands admiration. People who try to use it for Quartz for ill-ends, however, will discover pretty quickly that this spiritual stone isn’t a wimp. Quartz has natural energy turning and amplifying abilities. In other words – don’t even think about it. While synthetic Quartz exists, Light Workers and metaphysicians alike recommend the real deal. They even go so far as to say that Quartz energy has been part of every important phase of humankind’s time in the Earth Realm. It’s no wonder that spiritual leaders and facilitators find themselves drawn naturally to different quartz formations. Like peridot in nature Quartz has hexagonal crystals that make them extremely useful in Sacred Geometry too. Close your eyes for a minute and think the word “crystal” – most people immediately think of clear Quartz (as opposed to a formal wine glass). When given the opportunity, Quartz is happy to introduce itself to you and begin breathing freshness into your spiritual quest. This stone is as ancient as it is wise and it’s both a spectacular counselor and guide. It’s also a very personalized stone. Quartz spirit seeks out your needs and goals and helps you lift those concepts into the form of a prayer that resonates to all corners of creation. Practitioners of Feng Shui practitioners tell us that putting Quartz in the North East or South West portions of the home. However, they also mention that this crystal sometimes insists on different placement depending on the type of Qi energy your home needs most. A lot of times it ends up at the front door, purifying and invigorating each person who visits. Quartz acts like a receptor in our aura, bringing us messages from many sources. Once in your aura, that energy spreads out, changing your energy pattern for the highest and best of you and everything around you. This ability makes it a chosen stone among many clairvoyants, psychics and channelers since they can “tune in” to spirits or beings with greater clarity. Energy and spiritual healers are seldom without these crystals due to their tremendous powers of amplification. In terms of personal energy on any level, you could not have a better companion than clear quartz. In life’s highway it’s an ever-ready gasoline station. Slip one in your pocket wherever you go. Just remember to choose a shape for your stone that reflects what you most hope to change or bring into your life (such as a heart for clarity in relationships). The exact origins of the word Quartz are a lot more murky than this clear stone. It may take its origins from similar German, Slavic, Polish and Russian words all of which mean hard (alluding to the Quartz symbolism of strength and durability). It may have also gotten its name from Krystallos, which means ice because Quartz looks like frozen water that never melts. This connection most certainly gives clear Quartz a point into the realm of Water or Ice Elementals.